The name of the pan says it all. 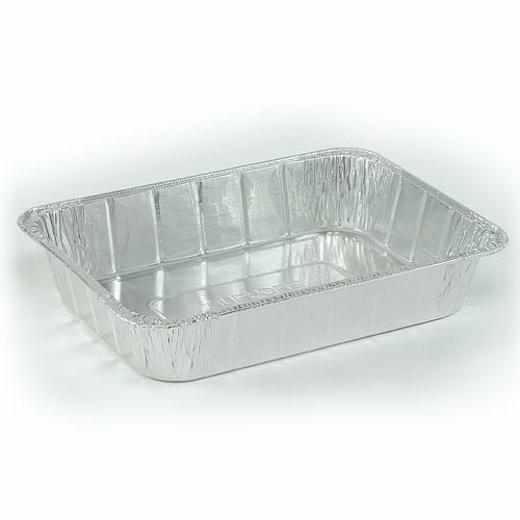 This aluminum pan measuring 10.5"x 14"x 2 3/4" is ideal for meat and regular lasagnas, deep dish casseroles and other large food items. It's disposable, so there is not need to worry about cleaning this dirty dish. Made in the USA. 10.5 in. x 14 in. x 2.75 in. L: 10.5 in. W: 14.0 in. H: 2.75 in.